�S.S.80 Special,� completely equipped with Magdyno Lighting, Altette Horn and Rear Wheel Driven Speedometer with illuminated dial. 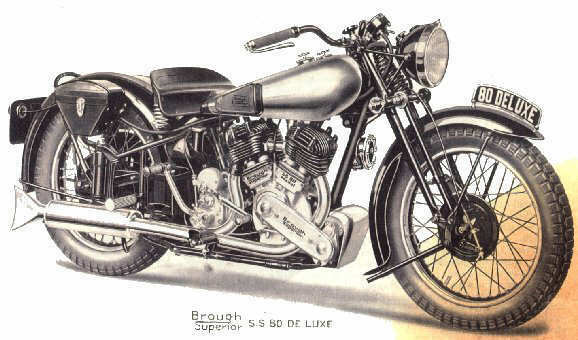 �S.S.80 De Luxe Special,� (as illustrated), with Fully Sprung Rear Wheel, and specification as page5. All component parts fitted to Brough Superior machines are made exclusively to my designs and special requirements.